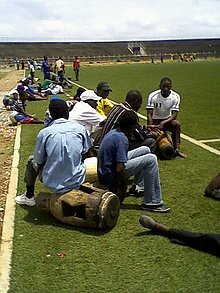 What you are listening to is a bin-aural soundscape recording of a rehearsal of the Zambia Popular Theatre Alliance (ZAPOTA), an umbrella organization of hundreds of local theatre clubs and dance groups across Zambia, in the Old Independence Stadium in Lusaka. ZAPOTA was rehearsing for the opening of the Youths Sport Games in December 2012. While listening, imagine 260 young people in intense movement all around the empty stadium; drummers, contemporary and traditional dancers, acrobats, magicians… The stadium lies in the midst of Northern Lusaka’s sprawling 'compounds', high-density suburbs, Chaisa, Mandevu, Matero, Chipata… planes to the near by airport arching overhead. You can hear it, the situation is very dense… the dancers are playing their drums, the vibrations from the drumbeats are 'playing' the empty stadium, I’m 'playing' the binaural microphone while walking around — or, that’s what I’m imagining… I’m not wearing headphones. I’m wearing the bin-aurals. Then, there is a situation when suddenly, you can hear a voice calling out, “Claudia, if you can stick outside the line!”3 That one was addressed to me. In my fascination with the sonic event and the act of listening, I was threatening to interfere in the 'scene' I was capturing. Sound-recordings have long 'exposure times'. Listening takes time. Real time. Much can happen in 'the meantime'. With an open mic, you cannot easily remain the aloof 'man-behind-the-lens' who pulls the strings and sets the frame. Before you know it, you have become a protagonist in the drama of which you imagined to be the director. This field-recording beautifully reminds us — in and as a recording — of its own crucial coordinates: a specific time in a specific locality. Real time as it unfolds. Even now, as we are listening back, we are part of it. Listening means travelling with your imagination in real time. The drama of sound and voice in real time, and in an every-day-life situation is the 'field' of my work, or better its stage. Here, stories are written on-foot, history writing happens 'as we speak', collectively and dramatically, in dynamic call and response. When I make recordings in the street, I might even 'raise the curtain' with the opening line “I’m making recordings for a radio program, would you like to talk to me…” My recordings are often from the start and quite openly part of a local, public life; a small sonic window tells a story—implicitly, or explicitly narrative — of a particular situation, time and place. Unfortunately, though, field-recordings don’t drop back, as if by force of gravity, or technology, to the place, the life and the people, where they came from. Which kind of strategies or, creative 'acrobatics', could allow the recordings which come very much from the midst of a public life — that is, they stand from the start under multiple author- and ownership — to return to 'the field', where they originated? so that these audio resources are owned by their authors, find use in their own communication, inspire dialog in the community and possibly, inspire even new local audio radio practice…? For listeners browsing the blog, the page where the poem is housed here1, allows a quick overview of the audio-collection from Zambia and Zimbabwe along a list of names of all interviewees and is updated regularly with the links to recently uploaded recordings (in white). 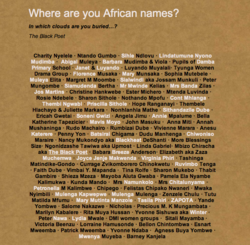 Blog Page: Where are you African Names? The Local is Global… we are used to hear today… But, how local truly is the global…? The Black Poet, Mbizo Chiracha, also raises this question and, does it by setting it in a traditional African way of archiving culture and of 'writing' history: the recital of lists of names is a common, and often daily practice in many African cultures — the Isithakaselo of the Zulu, or the Oriki of the Yoruba.10 Names are repositories of history. They are audio-'hyperlinks' to access commonly shared stories and knowledge. They can gather a community of diverse listeners under a collective memory, from past achievements to the goals and promises of a future to come. 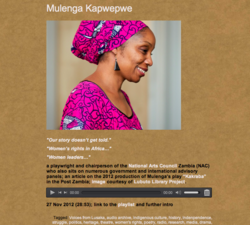 The artist, playwright and chairperson of the National Arts Council Zambia, Mulenga Kapwepwe11, can sharpen the question raised by the Black Poet from the point of view of African women — for us the listeners elsewhere, who are using the blog and its archive of recordings to explore if we can zoom-in locally with our ears and imagination. 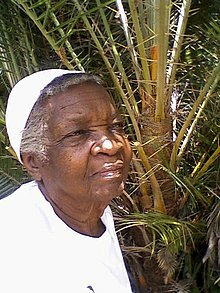 A profoundly knowledgeable activist of African Culture and women’s rights, Mulenga makes a listener aware of African cultural and social practices forgotten and erased through centuries of colonialisms. She tells about African alternatives, which are possibly both, erased from the knowledge base of people locally and, unheard of on the platforms of the 'global information society'. By comparison to visuals, much more effort is needed in publishing sound online to any effect — it takes time to listen…! I didn’t have a picture for Mulenga’s blog post. I found one on Flickr, added the owner, Lubuto Library Project to my network contacts and wrote to the authors seeking permission for the copyrighted image to be used on our blog. Lubuto Library Project is run by an American organization. They kindly granted permission to use the image, and I’m still in correspondence now with a chairperson in the States and a couple of women personnel in the local library in Zambia, which Jane Meyers had cc-ed in her e-mail to me. Those are the many, little steps of what I call '1-2-1 broadcast' in order to make a way for content transmitted via online-audio to also, eventually, reach listeners on the ground in Africa. 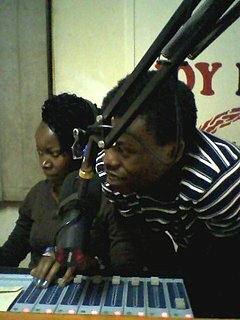 I suggested to the women officers at Lubuto to possibly make the recordings available to their local community via additional off-line or on-air means, it might be a CD distribution, a listening point in the library, or by featuring clips of our recordings in a local radio show — possibly played over locally produced music. Lubuto Library, as most of the public libraries in Zambia is not yet connected to the Internet. 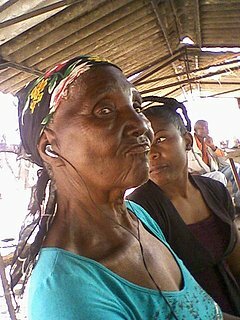 The veteran broadcaster, 85-year-old Mavis Moyo, or Mai Moyo (Mother Moyo) is the mother of Development Through Radio (DTR). The project run during the 1980s and 90s facilitated through the Federation of African Media Women Zimbabwe (FAMWZ) and some of Radio 4 broadcasters at ZBC (the state broadcaster) with Mai Moyo among them as the project leader. The project entails to train the members of rural women clubs to record their regular meetings on cassette-tape radios for weekly broadcasts of ZBC Radio 4. In the track you’ve just heard Mai Moyo relates how what became known as DTR grew from the seed of collaboration and exchange between urban and rural women, initially between the Jamuranai Women’s Club in the Harare township of Highfield and rural women from Seke South of Harare. 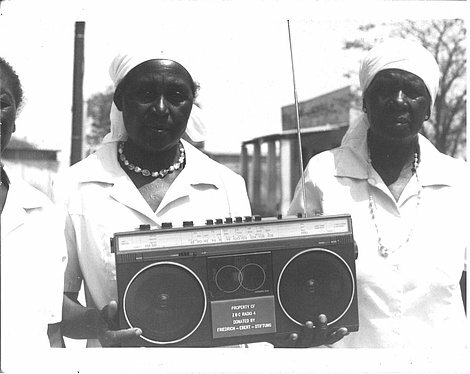 It is this relation between women across urban-rural divides, which developed into an early precedence of participatory radio in Africa to an unprecedented scale. When the project folded towards end-90s, due to the political situation in Zimbabwe, Mai Moyo continued to spread the concept of DTR across the entire Southern African region. 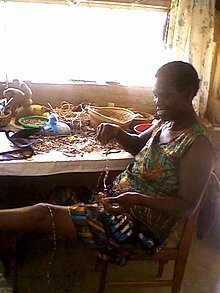 We made these recordings with the young BaTonga woman Luyando Muyalali, who interviews her aunt Janet Mwiinde about female initiation rites among the Tonga people in front of related artifacts in the local museum. Luyando was writing a research paper about the subject, and had asked me to accompany her with my recorder. I gave a CD copy of the footage recording to Luyando as audio resource for her writing. 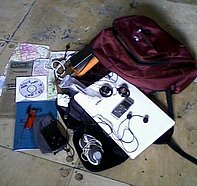 Several DVD copies of my entire audio recordings remained in Binga with local organizations.18 These simple means of audio-distribution via CDs are what I often refer to as 'hard-cover radio'. It is still widely practiced in Africa today.19 Projects like DTR — perhaps with an additional emphasis on inter-generational dialogue — could continue today with women like Janet and Luyando with much benefit to the rural communities like Binga, for example in terms of archiving local cultural heritage by using contemporary digital technology and, raising awareness about cultural identity among the young generations in Zimbabwe and elsewhere. Luyando Muyalali and Linda Mudimba are now students of African languages and culture. They are affiliated to the Basilwizi Trust in Binga, where they come from. Basilwizi is a cultural advocacy organization representing the communities of the Zambezi valley. In their interviews, Luyando and Linda highlight the issue of neglect and ignorance of their own cultural heritage among the young people. And, as Linda mentions in her recording, it is to be credited to the long-standing efforts and diligent local work of the Basilwizi people, that today, young people in Binga are again knowing, questioning and valuing their culture. Loss of culture and identity is in fact not only a concern for minority tribes like the BaTonga in Zimbabwe. Due to the successive histories of colonialisms, their missionaries, school masters and security guards, African culture carries a stigma of 'backwardness' and 'Bantuism', especially among the post-independence generations. The playlist of clips from Lusaka and Harare was already uploaded on soundcloud during my journey in 2012 and, shared off-line via CD handouts and i-pod listening. Additionally, I left mp3-copies of my entire archive of interviews from Zambia and Zimbabwe in the countries with some of the main organizations I was in touch with during my journey.20 Prior to interview recordings, I often let my interviewees listen to parts of the playlist and many of the women confirmed to me later in conversation that the listening put them in a good place to then tell their own story as if in response. In order to maximize the chance for potential listeners finding these audio resources, clips and footage are shared on various free online platforms, archives and networks, like archive.org, soundcloud, some community or artists platforms, various blogs and via FB. Though, if we look for example at the stats for the playlists on soundcloud, we’ll again find that over 70% of the listeners are at home in the Northern Hemisphere. To reach local audiences, the content needs off-line circulation via CDs and DVDs where at best, the recordings would become a soundtrack to visuals and could be shared on home DVD-players.21 Or, the field-recordings need to travel to listeners via on-air transmissions by national or local broadcasters — if there are and, they’d be open to suggestions — for example, as mentioned earlier by DJ-remixing spoken word audio over locally popular music. 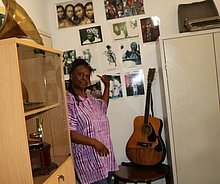 Through her research, lectures, books and films like Zimbabwe Township Music, Joyce Jenje Makwenda contributes to the task of returning forgotten cultural heritage to her community. In many African countries, women have traditionally been custodians of culture, yet Joyce is probably one of the rare examples of a woman collector and archivist on the continent with an amazing multimedia library gathered over years of dedicated listening work.23 Artists like Joyce can and will lead a way in an African revolution to come in the fields of collecting and archiving, by developing new practices rooted in an African oral tradition. It is from the point of view of oral heritage, that we may gauge the immense potential of field-recordings for the people, the contemporary artists and the continuing cultural practice of both, rural and urban communities on the continent. Online archiving and distribution of audio-radio or, audio-visual content remains an avenue yet to be explored and exploited on the African continent.24 So far, for many different reasons, that rarely happens. One crucial factor, I’ve already touched upon implicitly earlier is that in cultures which are deeply rooted in oral traditions, the place of the archive is–traditionally — the moment of its shared recital in a communal event, in ceremonies, in the recital of praise names, storytelling, and dramatic seasonal festivals in which, so to say, the entire archive of a community or a people gets collectively recited and performed. 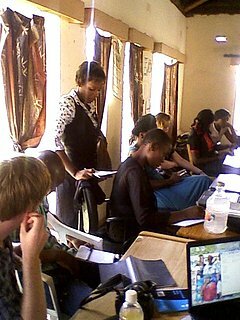 When I present the Zambezi women’s project and play recordings in events or workshops, I notice again and again with amazement how much the field-recordings can assist listeners’ imagination to travel — and this even in to daily-life situations far apart from their own walks of life and experiences. What adds crucial information here for a listener is the 'ambient' sound: how a certain place and moment in time 'radiate' in the recording. How to access and perceive these kinds of audio-information, we 21st century 'information-junkies' have little time and occasion practicing. 'Background sounds' are an underrated database, even — or especially — in my field of practice, which, in many ways, can be said to draw on Oral History methodology. What is lacking in a time of online knowledge as 'information' seems to be the attention, awareness and practice of our imaginative capacities, which are especially triggered and active when we are listening. “Place African Art and Culture on the Global Map!” with this call-out, the All Africa Sound Map invites contributions of local recordings from online listeners — and especially 'from our sista artists and storytellers in Africa and across the globe'. Ultimately, it is in the hands of African people themselves that the tools of field-recordings and practices of digital storytelling will serve as an effective leaver for them to re-discover the multiple forms of literacies in their societies, and to collectively excavate their oral heritage as a 'sound' foundation for its continuation in contemporary forms. In touch with their oral heritage and contemporary ICTs on a wider community level as is currently the case, Africa could lead a way in fresh forms of a collective production of Media and, of History. It could make us, or the citizens of a future 'global information society' justly richer in our shared knowledge, resources and productions. Artists from Europe can contribute to the task of a more balanced, globally shared, multimedia knowledge pool; be it, by creating audio responses or re-mixes for local artists’ projects in African countries, by offering radio and on-air opportunities to African artists or initiatives, by donating interactive designs to a project or organization on the continent or, by sharing parts of our production archives on-line — especially if these contain field-recordings from Africa. 5 FREEWAY MAINSTREAM produced for Studio of Acoustic Arts/ WDR 3 in Cologne is “remixing” the stories of young African expats in Germany. 6 In the meantime, I’ve been in Zambia and Zimbabwe again, September 2013 – February 2014. Here my concern was mainly to re-visit the women interviewees and their organization on the ground, tell and show them on my laptop, what had been happening with their recordings now in “cyberspace”; and to explore together, how they might be using these resources and integrate them in meaningful ways in their ongoing work and daily life. The training and digital storytelling project for women remains on the agenda, though, as yet, apart from a couple of one-off workshops unrealized. 7 In my workshops, I often emphasize on the subjectivity of listening and recording, which also resounds in the term “sound diaries”: sound recordings, I’d say, always “picture” or transcribe an act of an authored listening. 9 The Nigerian radio engineer Tunde Adegbola, who’s also active in the field of speech technology in order to make way for African indigenous languages into the “global information age”, tackles the wider global context of the issue and warns of the effects of the commercialization of information and knowledge, he says: “if informationalcapitalism is not balanced by the need for cultural diversity and environmental integrity, we are on the way to a global mono-culture based on homogenized content for education, information and entertainment… and globalization would be yet another wave of colonialism…”. From, ‘Explanatory Notes on Content, Media and Language Issues’; until recently, the text was for download via Tunde’s webpage www.alt-i.org/index.php. 10 The Isithakazelo or the Oriki are known in the Northern Hemisphere as Praise-Names. They are, in fact, often elaborate poems, containing lists of ancestral names, historical events, acts and achievements. In celebrations and festivals, they are preformed musically, often to the beat of the drum. 11 Here a link to Mulenga Kapwepwe’s blog post: both-sides-of-the-zambezi.tumblr.com/post/49302441254/mulenga-kapwepwe. For listeners further reference the blog also houses a list of the entire collection of recordings both-sides-of-the-zambezi.tumblr.com/interviews2012; as well as a list of contacts and further links to all interviewees listed under the organizations to which they belong: both-sides-of-the-zambezi.tumblr.com/links. 12 Claudia Wegener: Everyone a Listener - Everyone a Producer! in: documentation of the international symposium "Radio as Art – Concepts, Spaces, Practices: Radio Art between Media Reality and Art Reception", June 5-7, 2014, presented by Centre for Artists’ Publication, Bremen / Universität Bremen / Universität zu Köln. 13 In my interviews and conversations, I found that residues of DTR are still alive in local communities and projects, both in Zambia and in Zimbabwe, though unfortunately, rarely practiced today. This is also due to a necessary update and link of the DTR project to contemporary technology. I elaborate on this need and its possibilities in my article in “Everyone a Listener - Everyone a Producer!”, see footnote 12. 19 see also the notes to “hard-cover radio” in my article "Everyone a Listener - Everyone a Producer! ", see footnote 12. 20 Further to the organizations in Binga already mentioned above, these are: Pamberi Trust/ Book Café in Harare; Ibhayisikopo Film Project in Bulawayo; Tusimpe Catholic Mission in Binga; Arts Council Zambia and Zambia Media Women Association in Lusaka. 22 In order to contextualize the online presentation of the numerous recordings, to link the international artists to their poetry recordings, the Lusaka radio show and, to each other, I had set up a multimedia page on “Creative Africa Network” (CAN), which was, until recently, a platform with multiple-user-access for artists from Africa and the diasporas. The page “Expanded Broadcast and Poetic Transmission” was one of many multimedia pages, which I had created on CAN since 2010. In my contribution to the SOUND DIARIES symposium, I was still using the CAN pages during my talk. In June 2014, the global business supporting the site suddenly dropped it, without prior notice to users, nor any other public statements or explanations. 24 There are only a few, quite recent, cutting-edge examples of online archiving and distribution in Zimbabwe, who’s audience range and accessibility is still likely to be limited. Examples are the online magazine “Her Zimbabwe” (mainly text-based); or “Chat263” (multimedia; archived on youtube and soundcloud). SW Radio Africa has a beautifully maintained, rich podcast archive; though this station is based in London and broadcasts into the country on short wave, every day 7-9 pm.